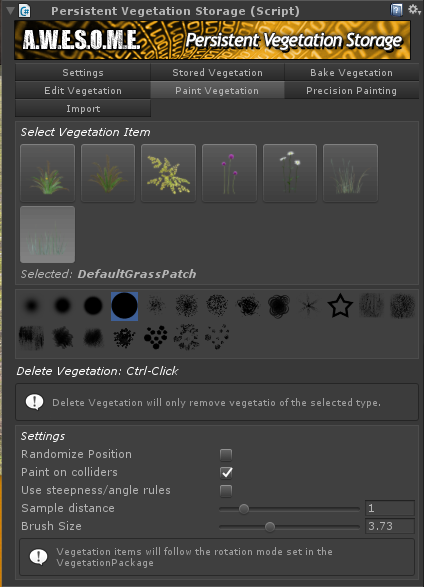 The persistent storage has a painting tool for painting grass and plants. 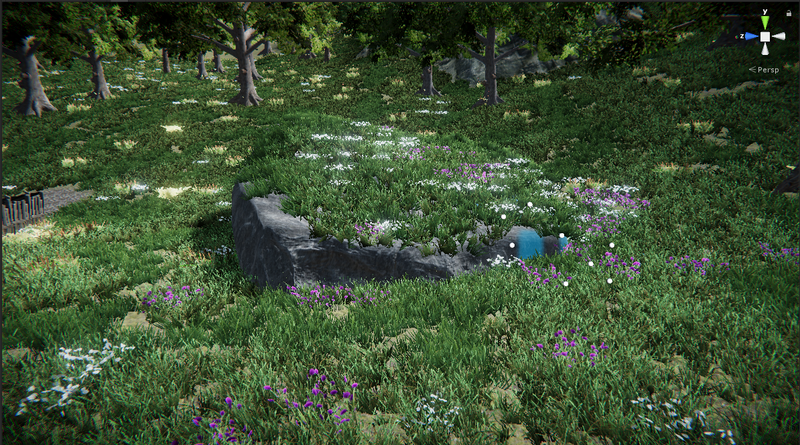 It works in a similar way unity terrain painting tool does but with some additional functionality. 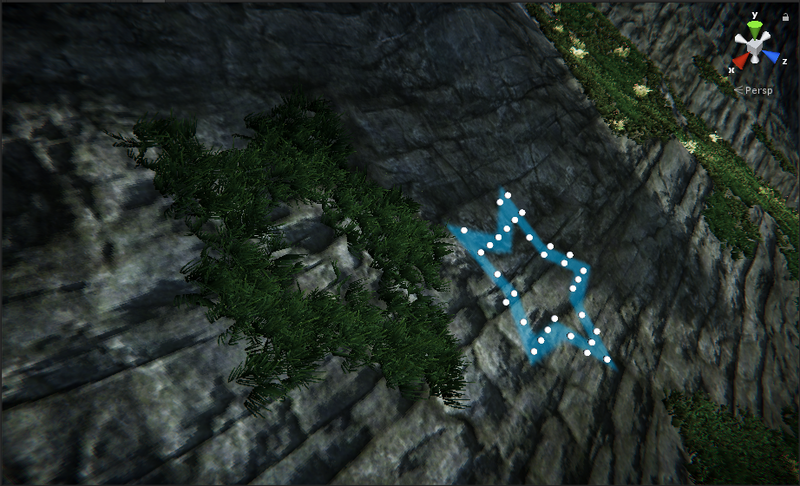 You paint with left click in the map, remove instanced with ctrl-click.